Mechanisms of pathogenesis of endocrine tumors; Cancer stem cells and epithelial mesenchymal transition in thyroid cancer; Pituitary adenoma and carcinoma tumor progression. Dr. Lloyd’s primary area of research is in the study of endocrine tumor development and progression. Different endocrine tissues including pituitary tumors, carcinoids and thyroid tumors have been studied over the years. A consistent research model that has been used by Dr. Lloyd’s laboratory over the years has been the pituitary gland. Dr. Lloyd’s Ph.D. work had been done on studies of normal pituitary gland cells. After his pathology training, work was continued on the studies of pituitary tumor growth and progression. These studies have been done with animal models such as transplantable pituitary tumors in rats as well as models using estrogen to induce pituitary cell hyperplasia and tumor development in rats and mice and with knockout mice models. Many studies have also been done with human pituitary tumors. Studies of human pituitary tumors have consisted of primary cultures of freshly obtained pituitary tumors as well as normal pituitaries obtained within a few hours post-mortem. Some studies with pituitary tumors have also led to the development of human pituitary cell lines. One of these cell lines, HP75, has been available for more than 12 years, since it was developed in our laboratory. These cells have been shared with investigators around the United States as well as in other parts of the world for in vitro studies of pituitary tumor function. 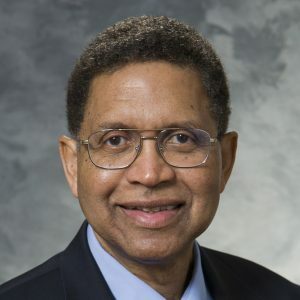 In addition to his studies of pituitary tumors, Dr. Lloyd’s laboratory has developed techniques that have been applicable to formalin-fixed paraffin-embedded tissues as well as cultured cells. These have included in situ hybridization methods as well as laser-capture microdissection techniques. The in situ hybridization methods were done initially with radioactive probes such as sulfur-35 and tritium. Within the last decade, studies have been done with non-isotopic probes labeled with digoxigenin and biotin. These studies have been both performed both at the light microscope and the ultrastructural level and have led to new knowledge about the subcellular localization of RNA targets within pituitary tumor cells. There have been many visitors to Dr. Lloyd’s laboratory over the years to learn these techniques. Our laboratory was one of the early laboratories to use laser-capture microdissection in studies of the pituitary gland. We have developed a technique in which we could label cells immunohistochemically with an antibody to a specific protein target and separate subpopulations of cells for further studies. These techniques have been taught to many visitors to the laboratory over the years. Dr. Lloyd’s laboratory has also been pioneering in studying neuroendocrine markers. His laboratory was one of the first to report that the chromogranins were general markers of neuroendocrine tumors. He and his collaborators developed monoclonal antibodies to chromogranin A, and these have been used by diagnostic pathology laboratories and research laboratories around the world over the past twenty-five years. One chromogranin antibody (LK2H10) has been widely used and sold to commercial companies by the University of Michigan, where the antibody was developed. Dr. Lloyd chose not to receive financial remuneration for the development and characterization of the LK2H10 chromogranin A antibody. We have recently studied the effects of chromogranin A transfection on highly malignant cell lines and have reported that transfection of chromogranin A inhibits the growth of various types of tumors. His laboratory plans to study the mechanism of this action. Another area of study for Dr. Lloyd has been carcinoid tumors. These tumors have been studied in vitro and in vivo. Cell culture studies have led to the development of cell lines such as HC45 which has been used by various investigators in the study of intestinal carcinoid tumors. His laboratory has performed studies of DNA methylation in carcinoid tumors and more recently has studied the expression of microRNA’s by carcinoid tumors. A major area of research interest of Dr Lloyd is in thyroid tumors. He has published more than 25 original studies relating to the diagnosis of thyroid tumors. He is one of the editors of the World Health Organization book on Endocrine Tumors published in 2004. Thyroid tumors were one of the major endocrine disease organs studies in this publication. Dr. Lloyd’s laboratory has also studied thyroid tumors in vitro and in vivo. Several original observations have been generated from these studies and a cell line for thyroid tumors (TT1) has been developed. Various molecular tests such as identifying papillary tumors by BRAF mutations have been developed by his laboratory and are used as clinical tests at Mayo Clinic at this time. Dr. Lloyd’s laboratory recently identified a new subclass of thyroid papillary tumors which is highly malignant, in spite of its relatively moderately differentiated histopathologic features. These tumors have been characterized by molecular studies and have been shown to frequently have BRAF mutations. Dr Lloyd’s laboratory is currently studying adult stem cells in the normal human thyroid and tumor stem cells in thyroid malignancies. Current studies in Dr. Lloyd’s laboratory include: analysis and characterization of thyroid cancer stem cells and epithelial mesenchymal transition during tumor progression using flow cytometry RT-PCR, cell culture and xenograft models. Diagnosis of thyroid, parathyroid, adrenal, pituitary and other endocrine tumors. Clinical studies include translational studies of thyroid and other endocrine tumors for classification and prognostic analysis of these tumors. Immunohistochemical studies and in situ hybridization analyses are done to determine specific biomarkers that are useful for prognostic puerposes in specific endocrine tumors. Analyses of microRNAs expressed by these tumors using RT-PCR and in situ hybridization are being analyzed as prognostic biomarkers for specific endocrine cancers. Chu Y-H, Hardin H, Schneider DF, Chen H, Lloyd RV. “MicroRNA-21 and long non-coding RNA MALAT1 are overexpressed markers in medullary thyroid carcinoma.” Exp. Mol. Pathol.. 2017;103(2):229-236. Mandal R, Hardin H, Baus R, Rehrauer W, Lloyd RV. “Analysis of miR-96 and miR-133a Expression in Gastrointestinal Neuroendocrine Neoplasms.” Endocr. Pathol.. 2017;28(4):345-350. Daniel R Matson, Hardin H, Buehler D, Lloyd RV. “AKT activity is elevated in aggressive thyroid neoplasms where it promotes proliferation and invasion.” Exp. Mol. Pathol.. 2017;103(3):288-293.